FRONTLINE offers two starkly contrasting images: one of Circleville, Ohio, where the local TV manufacturing plant has closed down; the other -- a sea of high rises in the South China boomtown of Shenzhen. The connection between American job losses and soaring Chinese exports? 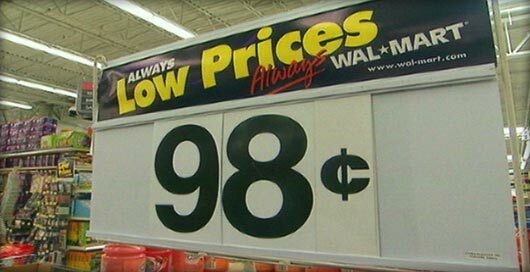 Wal-Mart. For Wal-Mart, China has become the cheapest, most reliable production platform in the world, the source of up to $25 billion in annual imports that help the company deliver everyday low prices to 100 million customers a week. But while some economists credit Wal-Mart's single-minded focus on low costs with helping contain U.S. inflation, others charge that the company is the main force driving the massive overseas shift to China in the production of American consumer goods, resulting in hundreds of thousands of lost jobs and a lower standard of living here at home. overwhelming. Find out more about the car-buying process and terminology by completing the worksheet. Also check the car maker's website for the best deals. Most auto sales websites have calculators to help estimating your monthly payments. Remember that you have $5,000 to use as a down payment.